Keary and Munster could be decisive in the grand final. ONE of sports' greatest coaches, the great Dutch football manager Guus Hiddink once said "You need rascals to win trophies." A rascal, a larrikin, a knockabout, as Guus understood, might take some handling, but they are worth it. Hiddink saw how these individuals operated on a higher emotional threshold. They elevated the dressing room. They feel most comfortable on the biggest stage. “Aussie Guus” Hiddink knew how to get the best out of players. 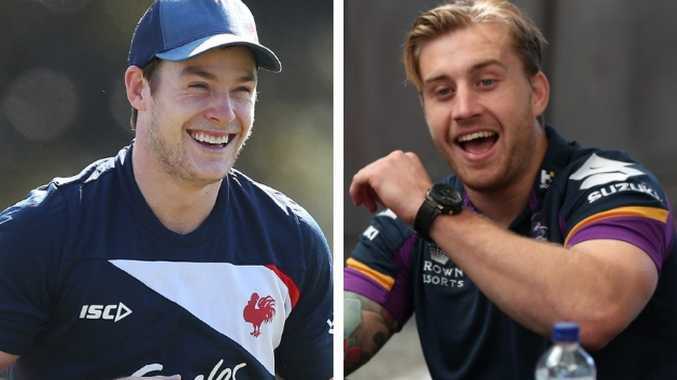 In Sunday's decider between the Sydney Roosters and Melbourne Storm, it's two rascals who hold the key to who will hold the trophy aloft. Two No.6s. Luke Keary and Cameron Munster. They bring spontaneity and the unorthodox to their team's structure. Keary and Cooper Cronk are a terrific combination. Cronk believes in exact science, he's most comfortable in the tight spaces. Keary appreciates the science but there's a bit of hippy in him as well, a free spirit. In writing this Cronk remains in extreme doubt. If Cronk doesn't play and Keary is elevated to primary playmaker, the dynamics of the Roosters' attack may not change in theory, but in reality they'll change dramatically. 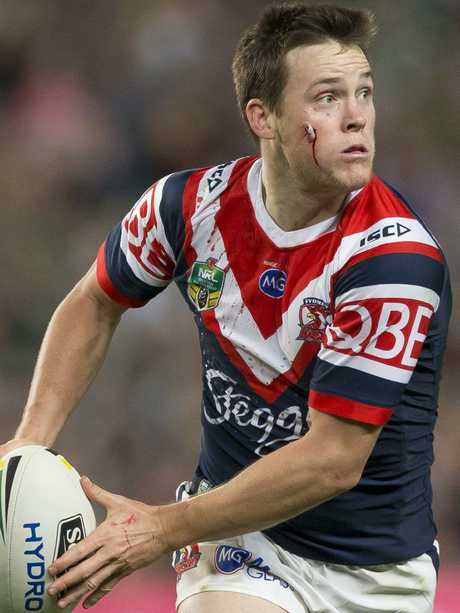 The Roosters will play more visual, off-the-cuff football with Keary at the controls. If Ryan Matterson replaces Cronk, as I expect he will, Keary should play full-field playmaker, you can't give the whole left side of the pitch to a player who is picked because of his strong defensive qualities. Munster is a stereotypical loveable larrikin, or an unlovable larrikin if you support the Chooks. His move to six in 2017 gave the Storm a whole new dimension. The Storm were brilliant at structured football, but in losing the 2016 grand final they realised they needed to change. In 2017 Melbourne's spine operated like this, Cronk and Smith put the game plan into action, Slater complimented them and made it work, Munster did whatever he wanted. Munster doesn't count defensive numbers, he gets a gut feel and calls the football. He is dangerously unorthodox and defenders hate him because, as opposed to structured football, which allows a defence to read formation, Munster takes possession of the ball on instinct. The way both Keary and Munster play is a by-product of both personalities. I've worked with both men and enjoy their company immensely. They enjoy life, they aren't guarded, they have strength of character, a sense of humour, larrikins. Munster came on my Sunday Night show recently, it took a lot of persuasion on my behalf. The Storm's media arm were nervous about the combination of his no-filter conversation and live television. On the night he was brilliant, everything he is: unplanned, authentic and funny. Then came the question, "Cameron tell us about that trial game against Canberra, which resulted in Craig giving you an almighty spray and changing the course of your career." Munster sat, contemplating his response, "…. Worst game I've ever played, you see there's this thing called Tinder, and I was out all night chasing tail…." My mind immediately shifted to the Storm's media manager... But people loved it. They loved the honesty. He is who he is. Keary's strength of personality is well known. When he was an NRL green horn, then coach Michael Maguire would bring him over for sessions. For most of the first session we did, I called him "John". I couldn't work out what he was chuckling about. He made his first NRL appearance at the Auckland Nines and tore his chest muscle off the bone, ruling him out for six months. One day he came over to the house, his arm in a sling, we chatted about his return and what he should work on in the meantime. As we walked to the park he paused and his head sank low. I asked him if everything was all right, to which he answered, "Matty I'm terrified I'm not gonna make it in the game." At that moment, you knew he was a special kid and there was no doubt he was going to be a star. Both have had their off-field moments, but like Hiddink, both Bellamy and Robinson know the true values of the man and the value of the player. 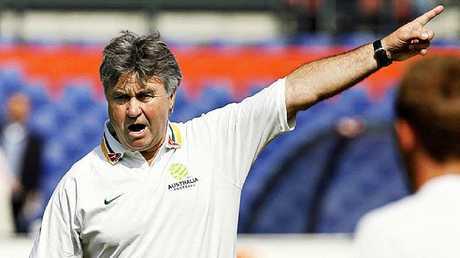 Hiddink once coached the great Brazilian World Cup winner, Romario, at Dutch club PSV Eindhoven. Romario is a party boy who broke rules and curfews. Teammates, fans and Dutch media called continuously for Romario to be sacked. Hiddink wouldn't hear a word of it. Romario scored goals and won trophies.